The case for building purpose driven companies that operate to solve global challenges has never been greater. Today's world is characterized by a scarcity of resources, a growing middle class and a vast and all encompassing digitalization: megatrends that will change everything around us in the next five to fifteen years. The opportunities and uncertainties that surround this gigantic shift also mean business will never look the same again. The world needs balanced companies that take an active role in addressing global challenges, and we believe that companies who do become sustainable will gain advantages as a result. We also believe that we, as an advisory company, have a role to play in helping our clients transition from old reactionary behaviour to adopting proactive and dynamic business models and value propositions. It is our hope that together we can lift our eyes up and beyond the pressing demands of quarterly reporting, and gain perspective on the possibilities of tomorrow. Welcome UpHigh. We help build purpose driven companies that thrive on addressing global challenges. We sell our time, skills and experience in process oriented and strategic consulting, combining corporate governance, management consulting and international development in an innovative and entrepreneurial way. By introducing corporate sustainability, collaboration and innovation as creative filters in the whole corporate structure, we service our clients from the top and throughout, from risk management to business development. There are no ready-made answers when addressing unique positions to corporate sustainability and purpose driven business, but we bring a sharp toolbox, a high-class network and loads of experience to every assignment. We combine customized tools and scalable approaches to offer the right value propositions for our clients. It is always about gaining perspective, seeing clearly, and from there, mobilizing for action. We work through our model of understanding, prioritizing and driving for change, sometimes conceptualized in our "maturity ladder" as shown below. 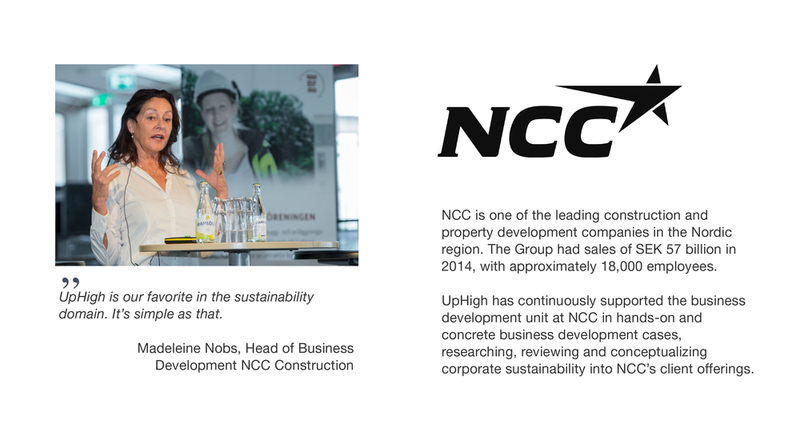 We have now launched our own sustainability commitment, stating our ambition to contribute towards a more sustainable future. As of 1 January 2017, a new law will commit Sweden's largest companies (approximately 1500 entities) to annually report on sustainability issues. We've summarized the most relevants parts of the law, and it's consequences. 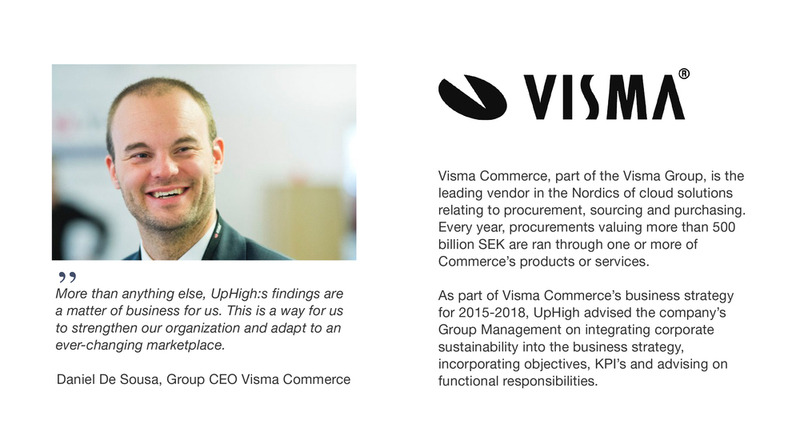 UpHigh is an advisory for corporate sustainability and purpose-led business that draws its DNA from corporate governance (our edge), management consulting (our force), and global development (our legitimacy). From Stockholm, Sweden, we sell process oriented and strategic consulting, using sustainability as a creative lens to review and innovate every aspect of our clients’ business, from risk to revenue streams. We ask the hard questions, helping our clients to understand, prioritize and drive change for sustainability, purpose, and innovation. Our value proposition is to translate complex realities into meaningful business trajectories and paths for new action. Contact us to learn what this could mean for you, or check out our portfolio above. Martin is a sustainability expert with proven track-record in, inter alia, private equity, telecom and construction. Working as our CEO, Martin draws on his global development experience from Ministry of Foreign Affairs and the UN system when driving UpHigh's projects and overall business forward. Martin holds a MSc in Poiltical Science from Uppsala University and SciencesPo Paris, and is an analytically sharp consultant and an appreciated lecturer on sustainability. Cecilia, chairperson of the Board at UpHigh, has more than 20 years of experience from institutional business development and research from fund, insurance, bank and financial industries. A natural talent for building strong teams, networks and relational synergies, Cecilia stays ahead of curve and identifies new market segments for UpHigh. She holds a MSc in Economics (Stockholm University) and MBA of Economics (Stockholm School of Economics). A partner and consultant at UpHigh, Daniel emphasizes on start-up and innovation oriented consulting, bringing experience from life-science/health, private equity, aviation and energy sectors. A young, ambitious and driven consultant, Daniel has a proven track-record in project management, employee supervision, and delivering presentations. He holds a BSc in Political Science from Uppsala University. Advisor to UpHigh who specializes in private and public M&A, frequently advising stock listed companies in relation to acquisitions and general corporate commercial matters from his work as general counsel at Glimstedt law firm. Erik is a strong negotiator and holds a Jur.Kand from Uppsala University. Senior Consultant Applied Value, New York and Member of the Board, UpHigh. Gustav has strong functional experience in business strategy, sales & marketing, organization, and procurement - as well as industry experience from the telecom, natural resources and industrial goods sectors. He holds a MSc in Industrial Engineering and Management from Linköping Institute of Technology. Ola combines his fulltime job in development at Sida with an advisory role on the Board of UpHigh, bringing rigorous experience from technology and ICT for development, human rights, democracy, and development topics, especially in central/eastern Africa. 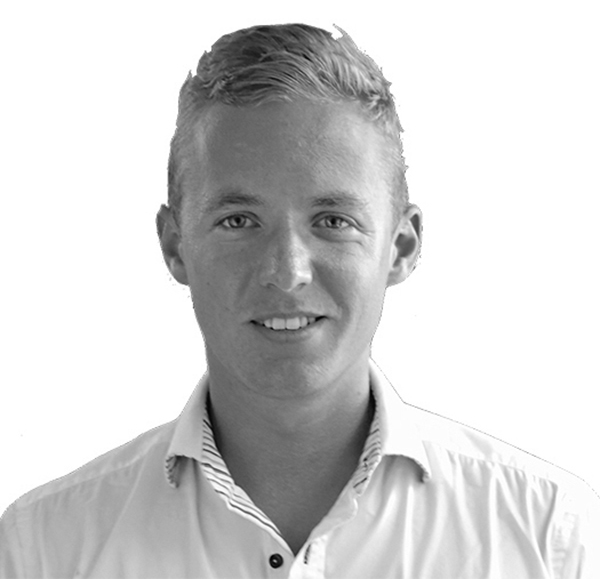 A strong statistician and project manager, Ola holds an MSc in Political Science from Uppsala University. For us integrity means being true to oneself, giving and receiving constructive feedback in a continuous and open process. By being who we are – and having the courage to show it in both words and actions – we build a culture where we are something more than just competent consultants. We build a place where we can be ourselves in a broader context, and from there give our most in every assignment. We never stop asking the critical questions or to raising the bar on how we create new structures for change. Sustainability is hard, and that's why we always have to work hard. At the heart of our offer lays a strong sense of commitment and enthusiasm in relation to the issues we handle in our projects. Through dedication we manifest our professional integrity and willingness to succeed on a daily basis. We believe that everybody has a role to play in building a better world, perhaps not with huge leaps, but everybody can do something. Overall, the view that everybody wants to be a part of something bigger also defines our view on the world and of mankind. To understand the world and contribute we have to listen – to each other, our clients, competitors and global trends. We always try to listen, and this is what helps us carry our integrity in all that we do.